Book Now: £695 £425 + VAT Book by 6th May and Save £270! Elise Huard, Simon Peyton Jones, Philip Wadler and Gabriele Keller. will be speaking. Starts at 8:30 AM. Back for an eighth instalment, the Haskell eXchange is an annual conference created for and by the Skills Matter community. An opportunity for Haskellers to meet, learn and share skills, discover emerging technologies and help evolve the Haskell ecosystem. Everyone is welcome to join, whether you are an expert or a beginner, whether you are a commercial user, an academic or a hobbyist, we'd love it if you join us this year at the Haskell eXchange! 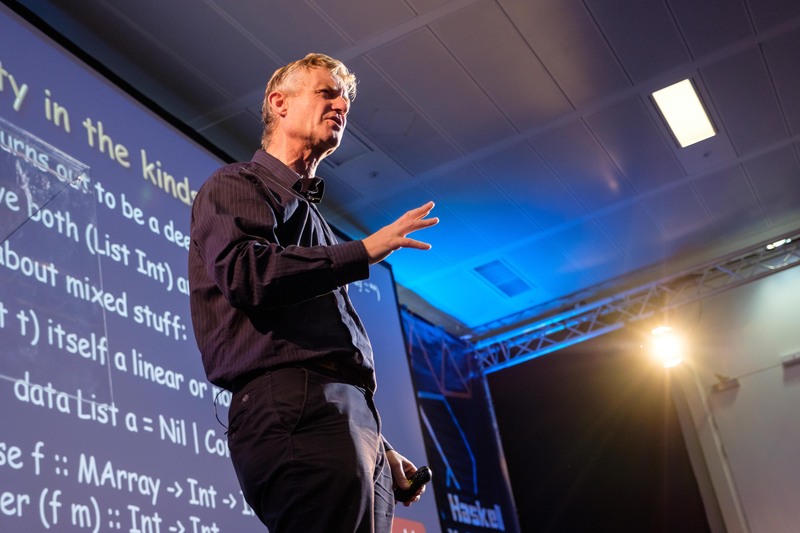 We are very proud to announce that Simon Peyton Jones and Philip Wadler will be sharing a Keynote talk at Haskell eXchange 2019! We're looking forward to learning from these Haskell eXchange experts and we hope you are too! Check out the latest updates to the line-up on our programme for all updates on our line-up! Would you like to speak at Haskell eXchange 2019? We want to hear your talk proposals! Talks will be selected by Skills Matter and the Programme Committee on the basis of making the conference a varied, diverse and valuable event. Deadline for submission is 10th June 2019. Elise has been doing software for 15 years, from startups to large consultancies. She’s tried her hand at many technologies, wrote a book about developing games in Haskell, and is now doing data science and engineering with Mastodon C. She enjoys hard problems, tangly maths, science fiction, running, making and consuming food. Join Philip for a Keynote at this years HaskellX! Come and join Simon for a Keynote at HaskllX 2019! Would you like to speak at Haskell eXchange 2019? We want to hear your talk proposals! Talks will be selected by Skills Matter and the Programme Committee on the basis of making the conference a varied, diverse and valuable event. Submission is open to anyone, and we encourage first-time speakers to submit a proposal. Members of the Programme Committee are happy to offer coaching and assistance on talk proposals. We strongly encourage first-time speakers to be part of our programmes. If your talk will be selected, you will have the opportunity to attend Jenny Martin's course "Giving Engaging Technical Talks at Conferences and Meetups". Volunteer at Haskell eXchange 2019! Want to help us facilitate a great conference? 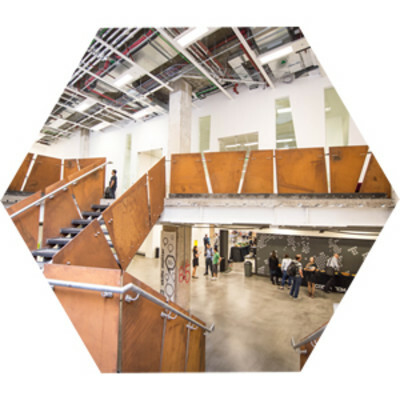 Help us set up the conference spaces, introduce talks and speakers, field Q&A questions with mics, or support some of the workshops and hacks we've got in store? Sign up as a volunteer and get a free ticket to the conference! We ask all volunteers to help us with the set up of the conference on 10 October (the day before the conference) and and some hours of your time during the conference, for example to compare the talks or help field questions with mics. If that sounds like fun, email conferences@skillsmatter.com and we'll be in touch shortly to sign you up to this year's volunteering team. Skills Matter is proud and happy to share our Haskell eXchange Diversity Scholarship Plan which provides support to those from traditionally underrepresented and/or marginalized groups in the technology and/or open source communities who may not have the opportunity to attend Haskell eXchange for various reasons. We look forward to having you at Haskell eXchange 2019! Whether you are seeking to improve visibility of your tools, devices or projects, or simply would like to support Haskell eXhange's passionate community through your engagement, our sponsorship team will be able to help you select the best sponsorship package for you! Email sponsors@skillsmatter.com or phone 0207 183 9040.